Content marketing isn’t all about writing — today’s consumers and B2B buyers are on all channels, all the time. This means a sizeable portion of your target audience is on Facebook, Instagram, Twitter, Snapchat, YouTube, and other video-friendly platforms at some point during the day, and if you aren’t trying to reach them there, your marketing strategy will most certainly fall flat. In today’s marketplace, a dominant online presence is key to establishing a strong, recognizable, trusted brand within your own industry. 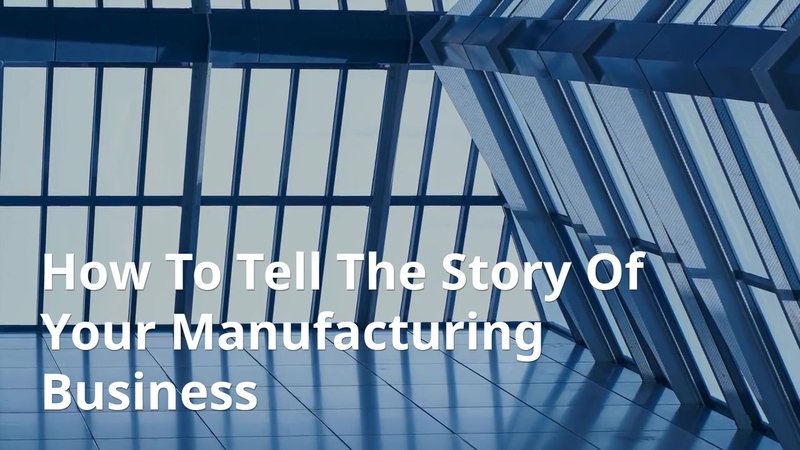 With that in mind, this blog will help manufacturers like you develop a quality, cost-effective video marketing program that helps them demonstrate leadership and promote your products and services to your customers. While standard blogging, ad placements, and other traditional marketing avenues still have their place, these statistics show that the value of a well-rounded content marketing strategy cannot be ignored. For manufacturers in particular, it can be a struggle to demonstrate the functionality of a machining tool or a complicated process that involves a high-level engineering concept. 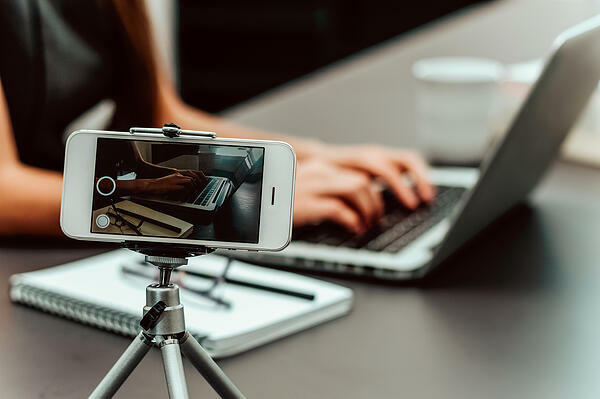 With video, however, you can show these tools or processes in action, which only helps your audience learn about your products and connect with your company. When branching out into new territory and technologies, it’s easy for marketers to resist unfamiliar or innovative new methods. Instead of delaying again and again, the first step is to simply make the decision to try out video marketing. You don’t need a Hollywood film studio to create high-quality video marketing materials for your business. In fact, most modern smartphones have a high-quality camera that’s perfectly capable of filming videos for your marketing initiatives. If you can’t film with a steady hand, you can find affordable tripods that will fit your smartphone for under $20 at most major electronics retailers. Once you begin to see some marketing ROI from your video efforts, you can up your game by investing in lighting, camera equipment, sound equipment, better editing software, and other production tools. Identify the strong players on your team. Maybe you have a gaming hobbyist on staff who knows about video editing. Maybe you have someone running a multi-level marketing business on the side who knows all about social media video marketing. Even if you don’t have an Instagram superstar on your team, thanks to the popularity of social media and video among the younger generation, there’s a good chance that at least one of your millennial or Generation Z team members has a basic understanding of filming and video editing. Put out a call for help among your employees and see who wants to be involved, and better yet, who might want to take charge of your video marketing efforts. If nobody on staff has the right skillset, training isn’t hard to find. YouTube is a veritable library of skills just waiting for those eager to learn. Many paid platforms, such as Lynda.com or LinkedIn Learning, can also teach you or your staff the basics at affordable rates. Chances are that you won’t be able to film a video in a single fluid take, so you’ll need to find an editing tool that works for you. If you’re struggling with the C-Suite for a video marketing budget, don’t panic. There are free or low-cost video tools available that will serve just fine for the early stages of your video marketing initiatives. We’ve outlined some of the most popular tools in the next section. Advantages: Free for Mac users, iMovie comes installed with Apple’s operating system. iMovie has limited functionality compared to paid video editors, but it is still commonly used by everyone from video hobbyists, to film students, to marketers to make short, high-quality videos. Disadvantages: iMovie is only available on Apple platforms. The biggest downside of iMovie is that it isn’t the most intuitive program for inexperienced users. In addition, more advanced video creation efforts might be hampered by iMovie’s limited functionality. Advantages: The free version of VSDC offers a lot of high-level functionality not often seen in free software, but it also features a drag-and-drop mode for making basic videos. This mode is good if you’re trying to find your footing. Disadvantages: The user interface for VSDC can be intimidating for inexperienced video editors. In addition, the free version processes videos very slowly. The free version also opens the in-progress video in an external video viewer rather than the actual program, which can be time-consuming. Advantages: HD Movie Maker is primarily designed for casual, smaller projects. As such, the user interface is intuitive, and the program is functional enough for making simple marketing videos. 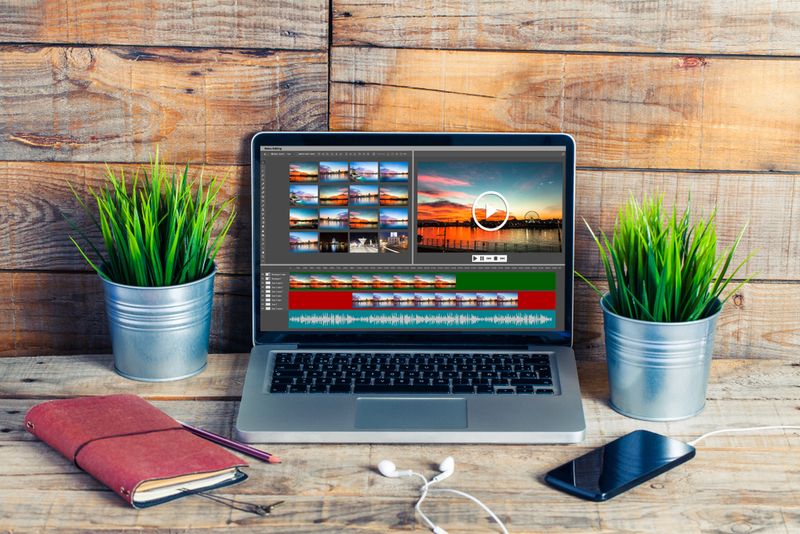 The simple functionality may actually be a benefit if you’re completely new to video editing. Disadvantages: This video editor is only available on Windows. The functionality is limited to the basics, so more advanced marketing initiatives that churn out a lot of content may find this program restrictive. Advantages: Adobe Spark’s web-based video creation tool is incredibly simple, making it ideal for beginning video and social marketers. Eight tutorials exist for suggested video types, which make it easy to point-and-click your way to a marketing video in a few easy steps. Disadvantages: Spark’s simplicity is a double-edged sword. The functionality of this program is incredibly limited, so it’s only useful for creating the most basic videos. Advantages: Animoto is a user-friendly platform that’s easy to figure out even for the uninitiated. It provides professional-looking videos with very little effort. It also comes loaded with pre-existing storyboard templates and licensed music options to help marketers tell their story without pulling in significant external resources. Disadvantages: This program has limited video editing functions. For example, you cannot edit one section of a video at a time, so each edit alters the entire video file. Advantages: A simple three-step process allows marketers to create videos quickly and efficiently. Magisto is also available as a mobile app, which is useful for video marketers who film on their phones. Disadvantages: Because this software is designed only for creating short, simple videos, its functionality is limited. Advantages: Biteable is very easy to use, and professional videos can be created in minutes. The user-friendly interface is unlikely to intimidate new video marketers. Disadvantages: Biteable has limited functionality in terms of customization, such as font sizes, clip art, and template variety. Advantages: This program offers a wide array of high-end video and sound editing features that enable users to create high-level professional videos. Disadvantages: Final Cut Pro is only available on Apple platforms. Because it’s primarily for professional videographers, it also requires a high-performance computer to use.. As such, it’s not very user-friendly, and may require extensive training to get the most value out of it. Advantages: This software offers a high-level of functionality. Premiere Pro is available in the Adobe Creative Cloud Suite, which many marketers already have. As an Adobe program, it’s also compatible with Photoshop, Illustrator, or other Adobe programs that can be used to create art for videos. Disadvantages: As a broad spectrum professional video tool, Premiere Pro has a steeper learning curve than some of the aforementioned point-and-click video creators, so training will likely be required. A high-end computer is required to run this software effectively. Some of these tools will be easier to use, while others will give you increased flexibility at the cost of simplicity, but all offer at least the basic functionality you need to get started on your video marketing campaign. This video takes some aspect of your company and explains it to your audience. Many video marketers do this with some form of animation, but a live action video works equally well. Try asking your most camera-friendly employee to give a tour of your facilities, talking to ten workers about why they love their job, or explaining why your business is an industry leader. How-To videos take your company’s services and demonstrate their value for the video audience. These videos can be very engaging to a technical audience, since industrial concepts are often difficult to explain or absorb solely through writing or advertisements. Examples of a good How-To video might include walking viewers through complicated preventative maintenance tasks or troubleshooting common issues with your products. Demonstrating your product on video can be an effective way to attract potential buyers. This can be especially useful if your product type is difficult to explain or a new and disruptive addition to the market. Regardless, buyers like to know what they’re buying, and a video demo is a great way to show them. This isn’t much different from a product demo you might host for an in-person customer—it just reaches a much larger audience. 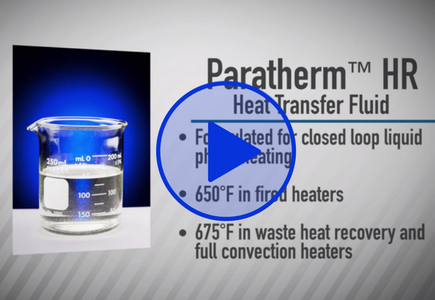 See how our client, Paratherm leveraged Thomas' Product Promotion to create engaging, informative and helpful product videos. What other companies say about you matters. If you can get them to say it on video, their feedback can be a valuable digital marketing tool. 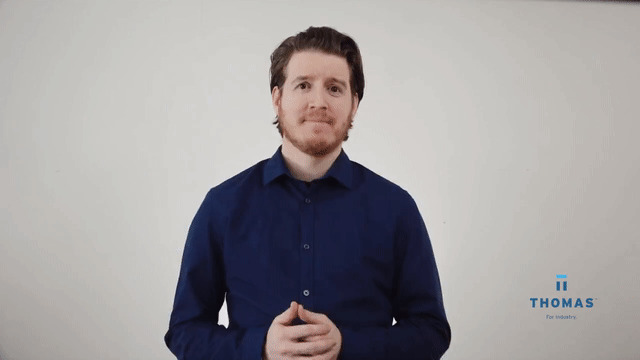 This type of video can work well as a series of testimonials from a range of clients, or as one longer focus on how your product/service provided a solution for one of your customers. No matter what type of video you make, there are a few common factors to note. Make sure you have a script — or at least an outline — so you can use your time filming effectively. At the end of every video, don’t forget to incorporate a call-to-action that encourages viewers to engage with your company in some way. A call-to-action (CTA) is a text link, button, image, or some sort of web link that encourages site visitors to take an action, like submit a form or go to a new webpage. Be sure to check out our Essential Dictionary Of Industrial Marketing Terms for a refresher on other important industrial marketing components to implement for your videos and video marketing strategy. Putting all of this work into creating marketing videos serves very little purpose if you don’t promote them. This is often the step where video marketing efforts fail. So much focus goes into preparing a good video that the stakeholders don’t consider what to do with it once it’s made. First, you need to publish the video. For maximum reach, you’ll want to upload it to multiple video sites. Make sure that your profile on each site is optimized to drive traffic to your contact page. YouTube, Vimeo, and Wistia are common third-party hosting sites for B2B marketing videos. Don’t expect your video to go viral on its own, however. Once you have the video uploaded, you’ll need to promote it. Publish a blog post about it. Send it out in your internal and external newsletters. Post the video on your company’s social media pages, again making sure that the profiles are optimized to drive traffic back to your website or sales team. If you have money to spare, a few sponsored tweets, Facebook posts, and other paid marketing tactics may also be in order. Once your video has been properly promoted, it’s time to plan your next video. Even if you can produce videos fairly quickly, parse them out and post them regularly on a schedule. We break down more details on video promotion in our blog here to help you set a cadence on where to host, publish, and promote your videos. Google rewards posters of regular content, so publishing marketing videos on a regular schedule will eventually help you climb in the search rankings. Incorporating your videos in email marketing is also a smart strategy. Wistia performed A/B testing on their email marketing campaigns and discovered a 21.52% increase in clicks from image to video thumbnails. Videos in emails are simply more engaging, but that doesn't mean using only videos and immediately disregarding photos. 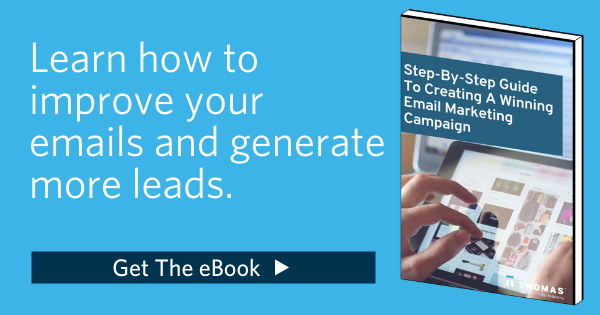 It's important to have a good multifaceted email strategy. 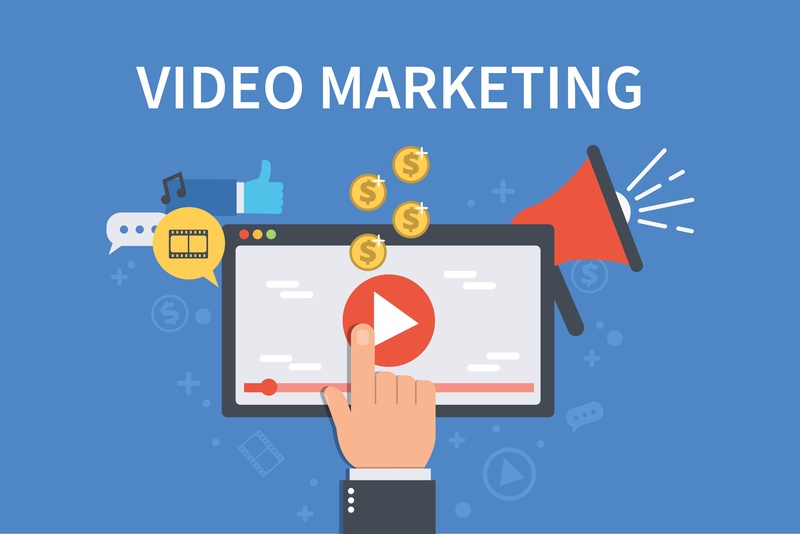 Video marketing can be a great tool for driving traffic to your website, promoting new products, or simply increasing awareness of your brand. If your competitors haven’t already begun a video marketing initiative, you can bet that they will soon. If all of this seems overwhelming, or if you need help getting started on your video marketing initiatives, consider taking advantage of the Thomas Video Promotion Solution. We’ll create a marketing video and custom-designed landing page for you, and then promote them to hundreds of thousands of industrial buyers via the combined audiences of Industrial Equipment News and Thomasnet. Partnering with Thomas Marketing Services also includes the production of SEO-friendly videos as part of our SEO program, which helps you improve your search rankings, drive additional traffic to your website, and generate quality leads. Whether you’re an old video marketing pro or just getting started, contact us to find out how the expert marketing team at Thomas can help you generate leads with video marketing, content marketing, search engine optimization, and more. Is Your Marketing Strategy Stuck In The Past?